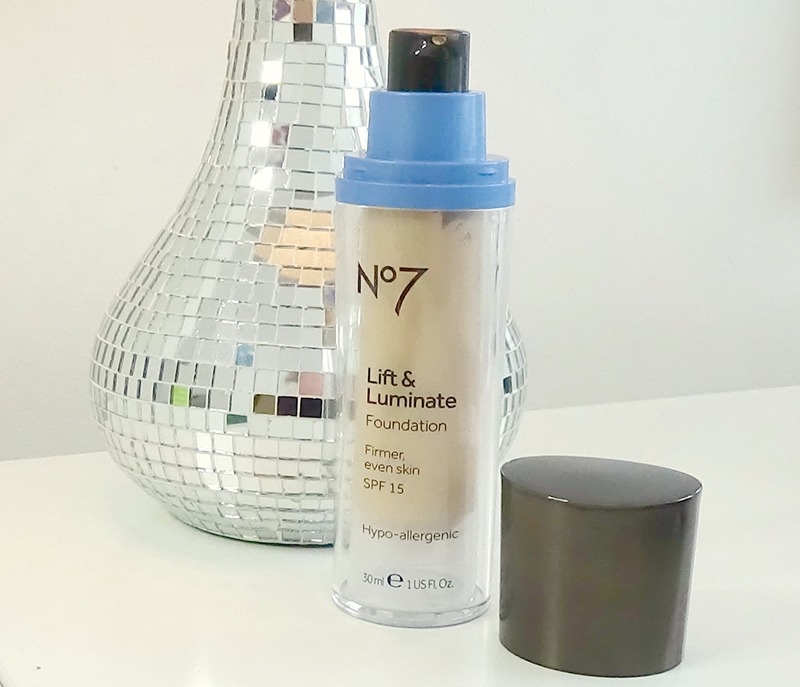 No 7 Lift & Luminate Foundation… The Secret to Dewy Skin? Is it just me or is shopping for foundation is bizarrely similar to dating?! Quite often you’re looking for perfection where it really doesn’t exist. Of course I mean that in the most realistic terms, as for months now I’ve dabbled in a menu of drug store foundations, some of them close to being a keeper whereas others are best left on the shelf. Okay, it’s only makeup so maybe that’s exactly why my expectations need to come down to earth just a teeny bit. Am I expecting too much from yet another little 30ml bottle of face base? “Let your skin be luminous and lovely, with a gorgeous, natural glow. 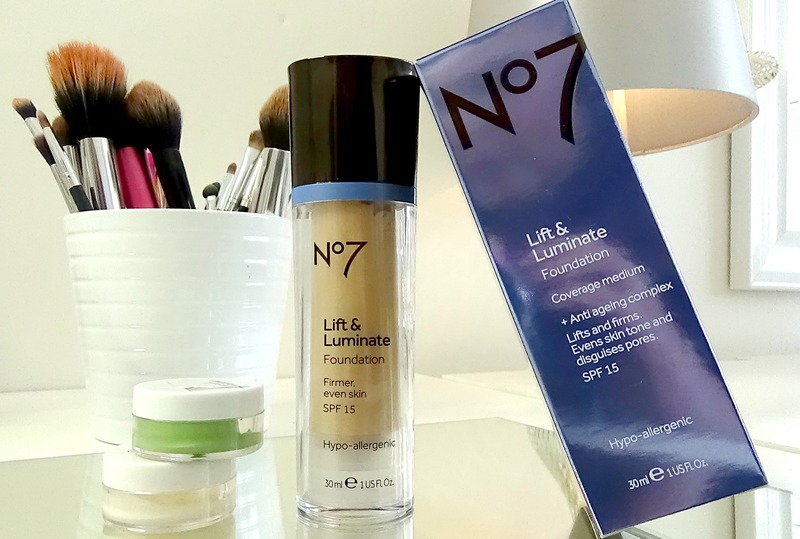 No7 Lift & Luminate Foundation is specially formulated to lift and firm your skin at the same time as giving you a smooth and even coverage. A facial in a foundation… containing three key components (moisturisers, firming and brightening complexes), this foundation visibly firms, lifts and brightens skin, leaving you with a youthful complexion. 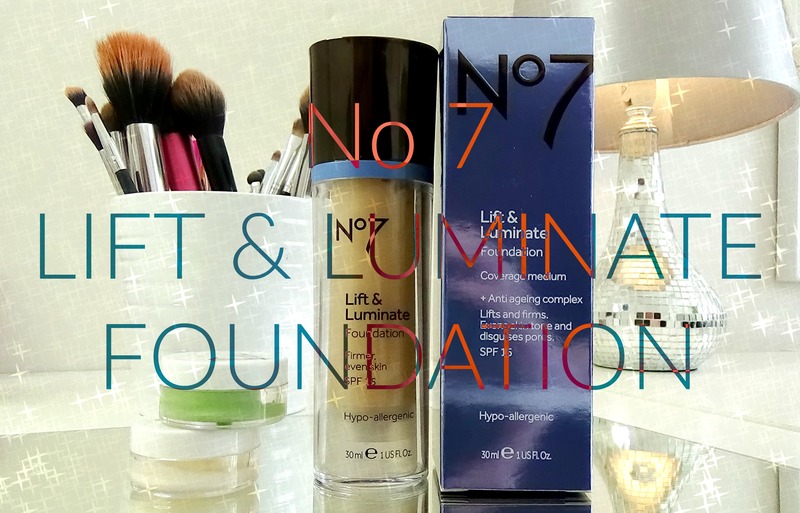 The foundation has been developed to be used alongside the New No7 Lift & Luminate Skincare Range for great results. It’s unique brightening complex works to boost your skin tone, to help even out and reduce the appearance of age spots, making skin look younger. Skin looks and feels instantly lifted, minimising pores and imperfections. As you can see from above, here’s half my face with the foundation applied and half without. I find the colour I opted for (Warm Ivory) is great for my skin tone as it’s slightly warming without being too yellow toned. It doesn’t leave any harsh lines around my jaw or hair line, isn’t patchy and applies reeeeeally well when using fingers lightly to blend. It feels incredibly hydrating and moisturising which is exactly what my skin needs right now after feeling so tired & dull. Stippling Brush: Didn’t work out for me – personally I find a foundation brush better suited to heavier formulas, but that’s just my preference. Blender Sponge: Again, if you like a slightly lighter coverage then a sponge will definitely be better suited for you. Blends lovely however just retains a little too much product for my liking. Finger Application: Perfect. The foundation smoothed out like a dream and the lighter the strokes the better it looked. Built a beautiful base and covered the flaws seamlessly. If you like a stiff formula that isn’t going to run down the back of your hand as soon as it’s dispensed then this will undoubtedly impress. It’s firm straight from the bottle yet blends like butter. 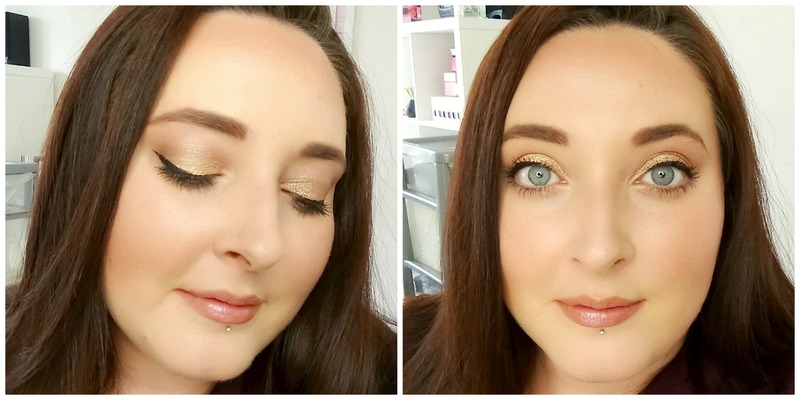 Really impressed with the coverage, not patchy and worked incredibly well with concealer on top or underneath. Okay, so it’s not a 24 hour fool-proof formula, but then who wears their foundation for that length of time anyway?! Combined with a great primer and setting spray expect this foundation to last approx 8-10 hours, which is long enough for me. And, it stay’s beautifully dewy and moisturising right to the end. 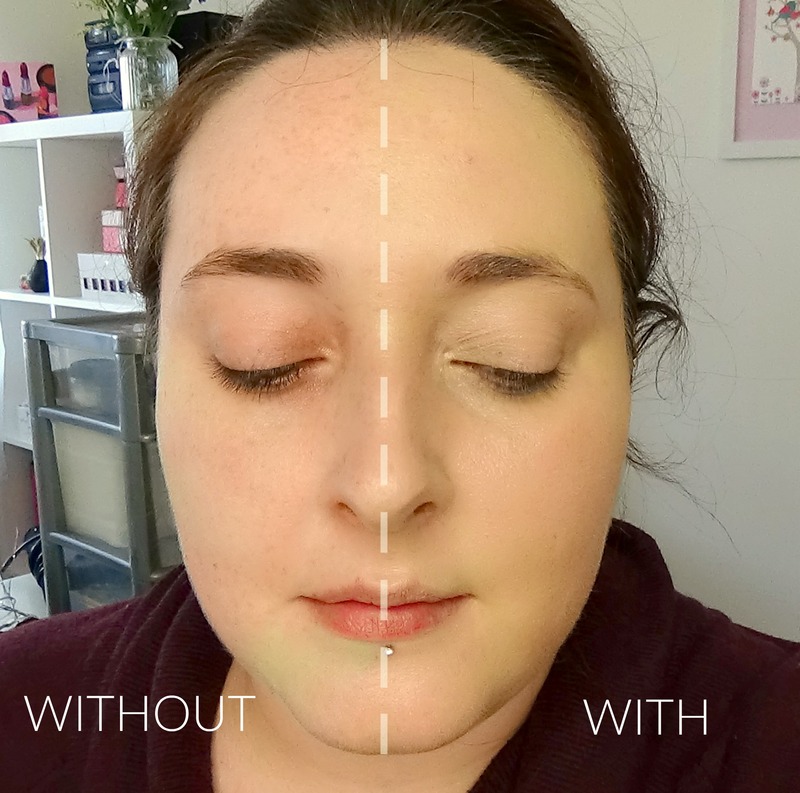 Considering that my face was quite patchy, dry and dehydrated, the consultant was quick to suggest a few key products that would “work wonders” for helping to even out my skin tone and clam the red areas which are pretty much confined to across my cheek bones, bridge of my nose and chin. Having offered me a few testers to take home I jumped at the chance in hope they just might help my face adapt better to the foundation. I’m my honest opinion I was absolutely flabbergasted at the difference both these primers made in such a short space of time. 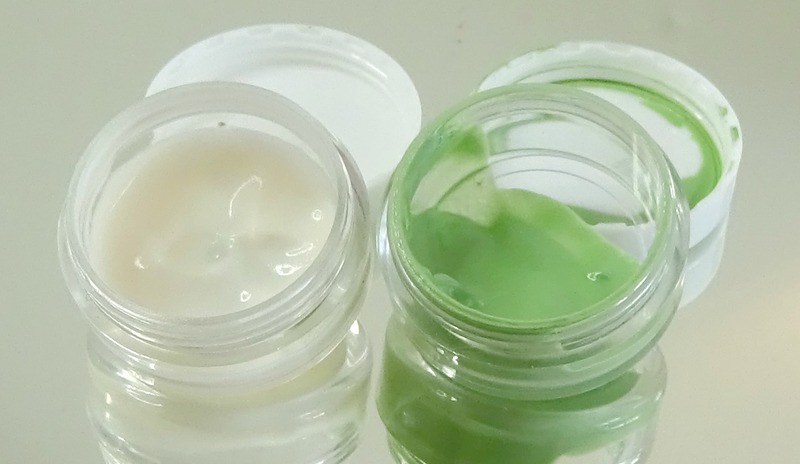 The Airbrush Away Primer (the green one) has been outstanding at camouflaging my red patches whereas the Colour Corrector Primer has been fantastic at evening out my entire complexion and prepping it for the base. On days’ I’ve chosen not to wear these there has been a significant difference in how the Lift & Luminate reacts on my skin as it doesn’t tend to stay put quite as long nor does it do such a seamless job in covering my flaws. Quality feel to the packaging, a great compromise from over spending on high-end. Easy to repurchase with so many Boots stores on the high street. 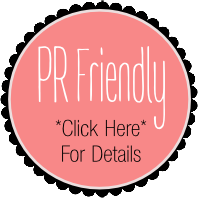 Consultants have all been friendly, helpful and very knowledgeable. Needs a great primer and skin care routine to really see benefits… then again doesn’t most?! Looks very pretty on you! 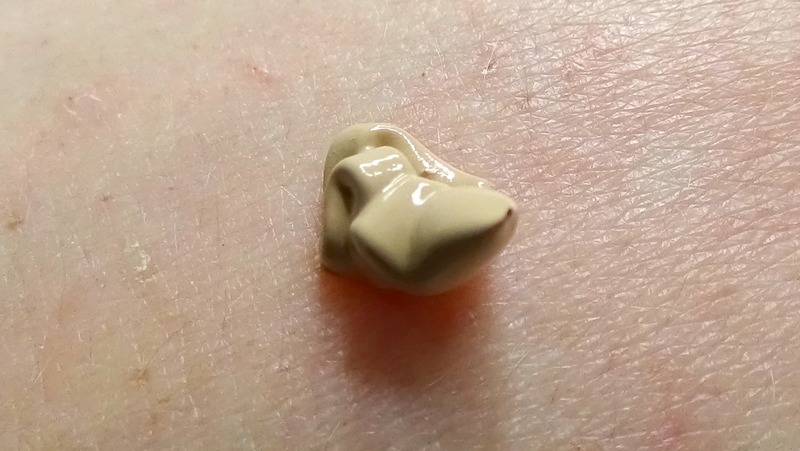 This foundation is reminding me of the Chanel lift Lumiere foundation and I love the luminous glow it gives to the skin.. Do they have shades for medium tan skin tones as well? But I must say… You have the most beautiful natural skin!!! I’m so jealous! My skin is covered at the moment…in what looks like teenage acne!! !Which is totally unfair,seeing as I’m almost 30. 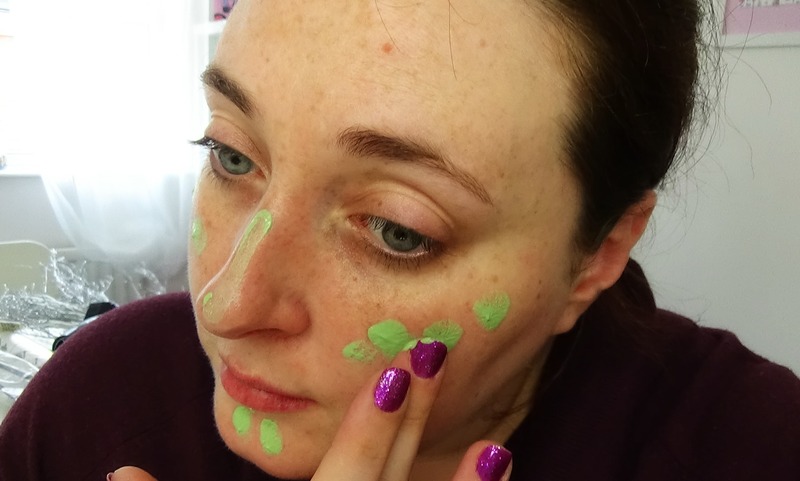 What’s your secret to beautiful skin (I’m all ears!) hehe. Oh I haven’t tried the Double Wear but I’ve heard alot of really good reports about it – though oddly enough the girls that don’t like it really hate on it I’m so curious about it, I wonder if I can get a sample somewhere! Awww thank you – though you have nothing to be jealous off young lady as you are insanely beautiful!!!! I’m amazed at you mentioning the acne as whatever you do it covers incredibly well as I’d never have guessed! Oh gee, I have no idea – considering I abandoned it for years on end and was a believer in baby wipes (and no moisturiser *gasps of horror) I’m surprised I’ve any skin left!!!! lol Sometimes I reckon we put too many chemicals on our skin, though I’m lucky enough with getting away with micellar water, Olay toner and a wee layer of Simple night cream. All drug store stuff… having said that I reckon I’ll be stocking up on the No 7 range as honestly it’s been a savour for me!! This looks fantastic, and it’s great the bases really extend the performance of the foundation! I so wish that No.7 makeup was still available here – they were for a short time but phased them out. At least we still have the skincare. Do you have any No.7 skincare recommendations? I’ve been curious about their serum – there’s good reviews online on it. Oh yes, foundations are definitely like dating 😉 I have a whole drawer full of ‘not quite perfect’ foundations. Great review. This is all I can wear in the winter with my horribly dry flaking skin. It makes my skin look almost decent. I hope this never gets discontinued.